The knees are prone to damage and injuries since they are among the most utilized parts of the body. Walking, running, standing and even sitting. Every activity involves the knee. Thus, people with knee pain will not only deal with the physical pain but will also have to deal with the emotional distress brought about by the pain and difficulty moving around. 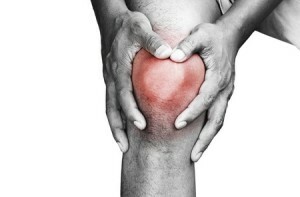 Knee pain can come from sudden injuries such as dislocation, sprain or fractures after a fall. Everyday activities especially those that involve sports can cause the knee tissues to wear and tear resulting in pain. Joint inflammation due to arthritis is also a common cause. Home remedies can be effective in treating mild to moderate knee pains. Putting an ice pack over the affected area, over-the-counter analgesics and herbal supplements are only among the many home remedies that can provide relief. However, this may not work for those who suffer from moderate to intense pain. Depending on the cause and intensity of knee pain, physicians may advise patients to undergo knee injections or surgery with the latter being the last option. Knee injections are specifically for people suffering from knee pain due to joint problems or osteoarthritis. There are three types of knee injection: arthrocentesis, corticosteroid injection and hyaluronic acid injection. Arthrocentesis, also known as joint aspiration, is the process of removing excess synovial fluid that can trigger pain and inflammation through injection. This relieves pain and swelling, and the collected fluid may be used for a lab test for those with the undiagnosed joint problem. After removing the excess fluid, another shot will be made on the same spot to insert corticosteroid to provide quick relief. Hyaluronic injection is the replacement of hyaluronic acid normally found in the synovial fluid. The low hyaluronic acid may contribute to stiffness and pain in people with osteoarthritis. Among the three, the hyaluronic acid injection may take time to take effect but provides the longest relief. Whether it’s a mild or severe knee pain, it’s important to consult with a physician first. Contact your Denver Physical Therapist today for a free consultation regarding your knee pain today!